As a fan of the sport of hockey, I appreciate how it is intertwined with Canadian history and cultural identity. 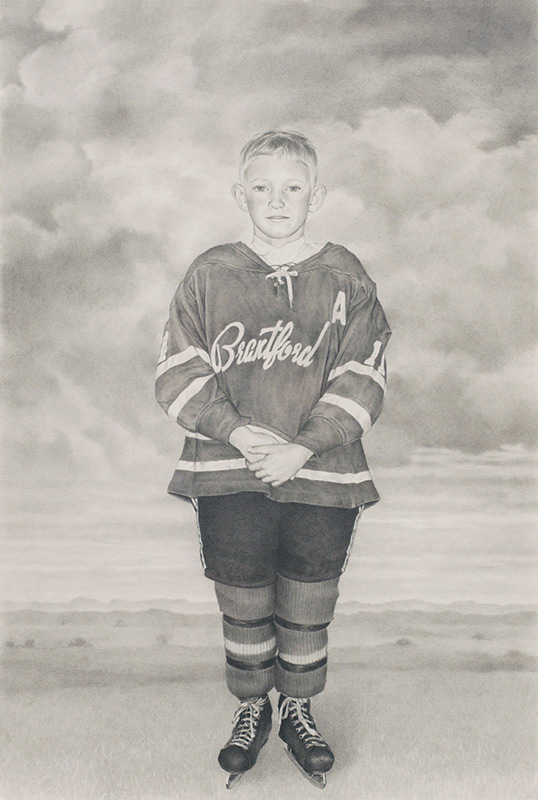 Images of players on frozen ponds and memories of our nation’s finest moments in competition remain integral and enduring aspects of Canadiana. 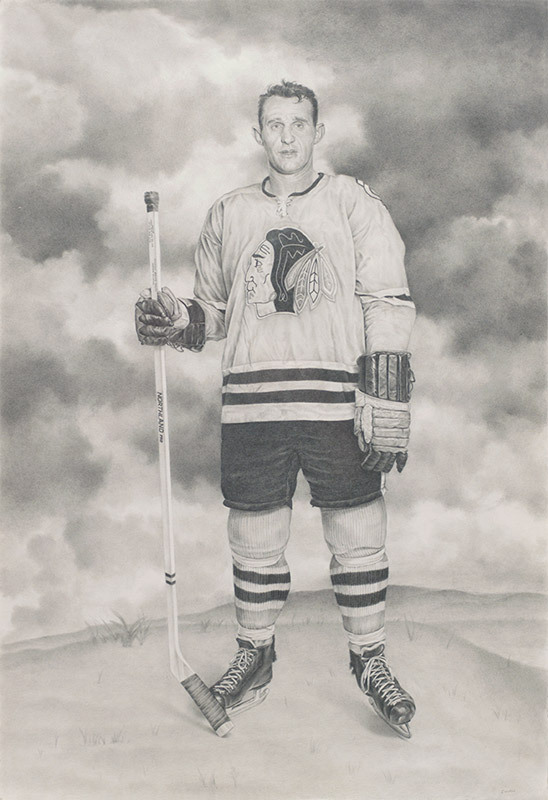 Professional hockey players are celebrated and venerated in our culture in much the same way as European nobility were several centuries ago. The hockey project combines the status of the sport of hockey and its players with the classical approach of the artists of the 17th and 18th century that I admire, in particular the works of Diego Velázquez and Thomas Gainsbourg. This ongoing series of portraiture embraces and plays with the tradition of the veneration of cultural icons. 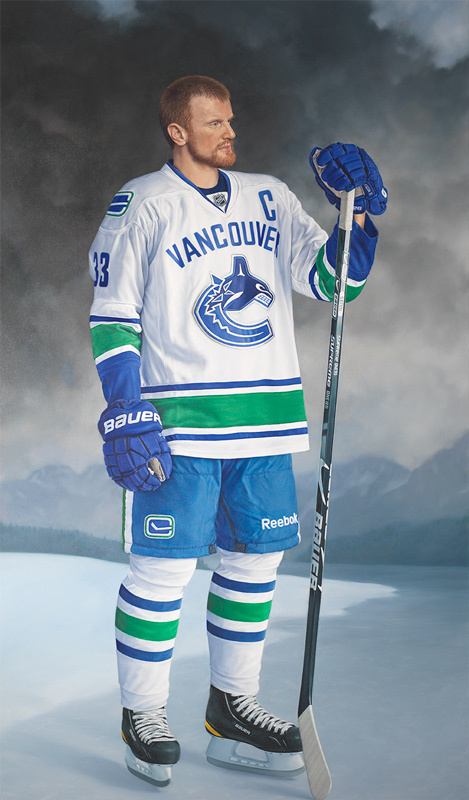 Canuck Daniel Sedin, 2013. Oil on canvas, 74 x 43 inches. 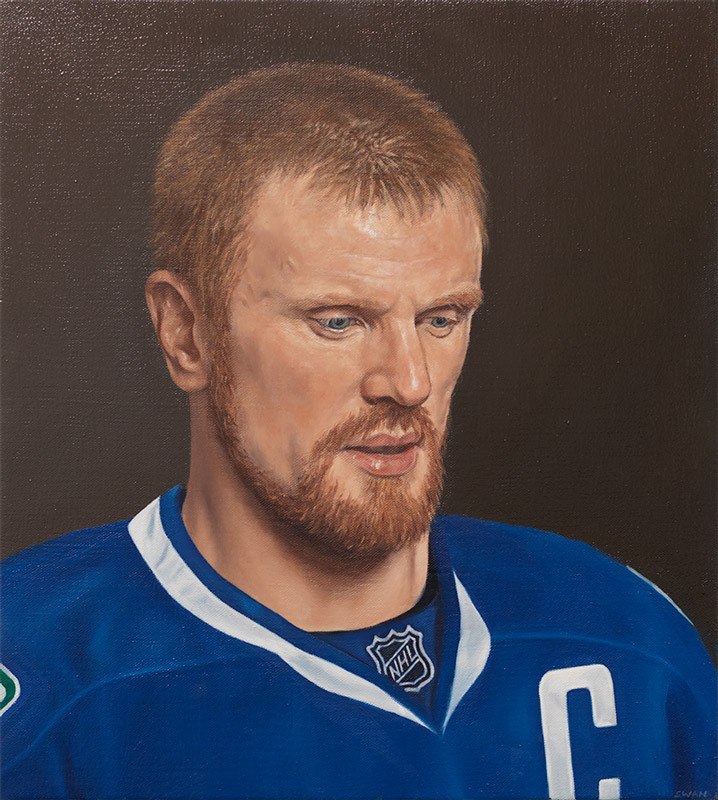 Canuck Henrik Sedin, 2013. Oil on canvas, 74 x 43 inches. 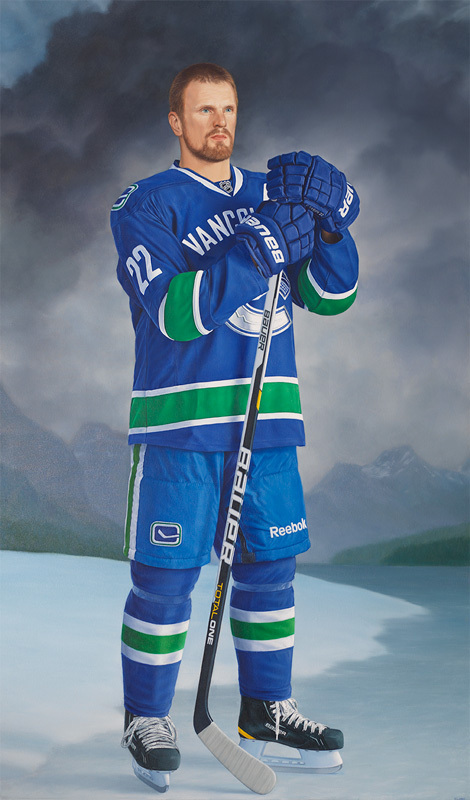 Painting Study of Sami Salo, 2013. Oil on canvas, 17 x 15 inches. 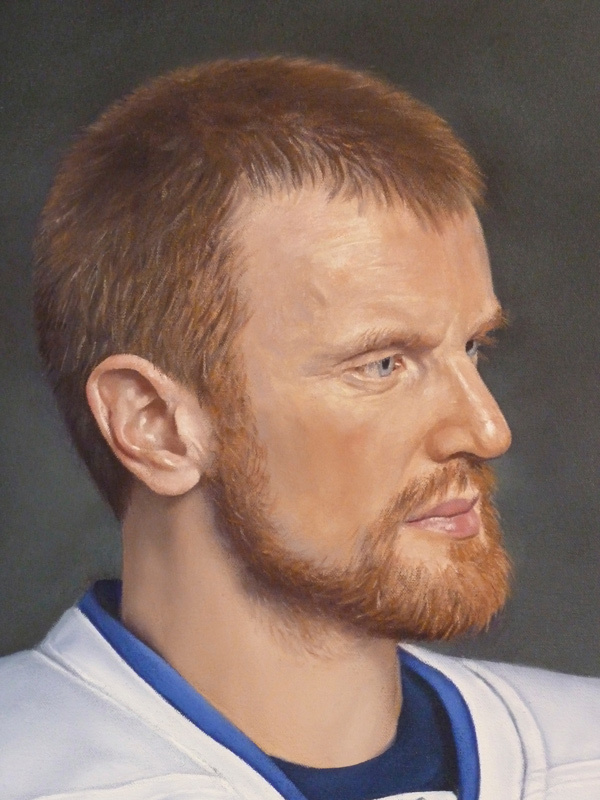 Painting Study of Henrik Sedin, 2012. Oil on canvas, 17 x 15 inches. 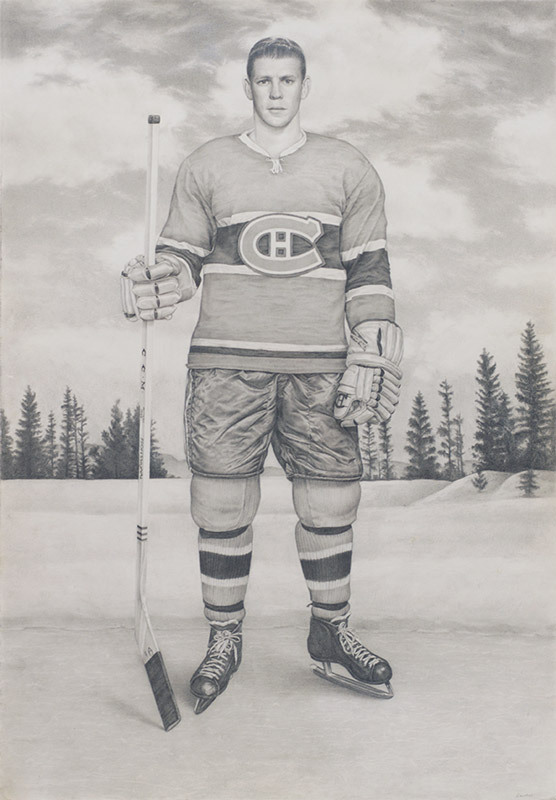 Andre Pronovost, 2001. Graphite and white conte on paper, 27 x 20 inches. Bill Gatsby, 2001. Graphite and white conte on paper, 22 x 15 inches. 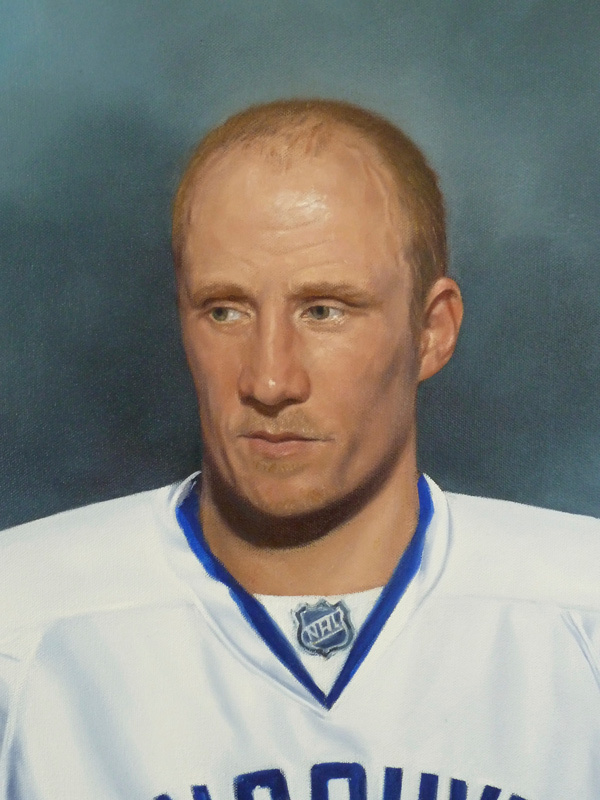 Wayne Gretsky, 2001. Graphite and white conte on paper, 22 x 15 inches.